Looking for a different flavor for your marinated grilled pork? 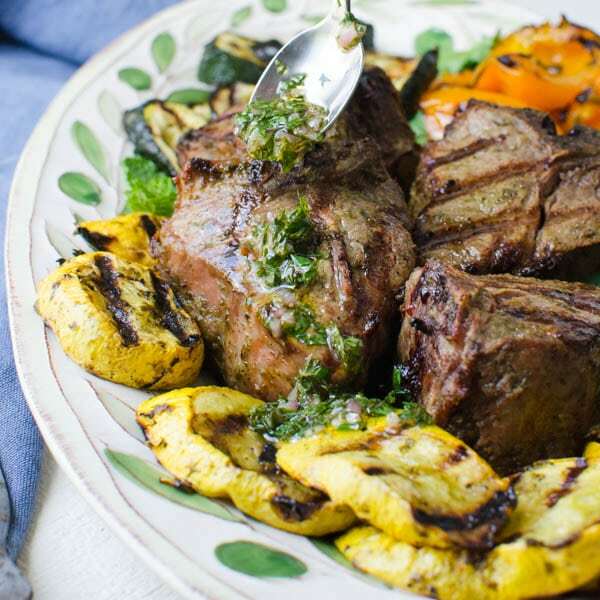 Try the blend of Indian flavors in this tandoori marinade. 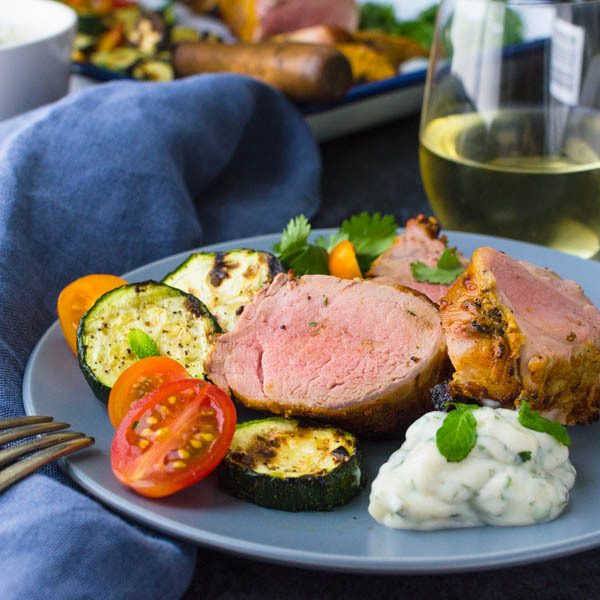 With fresh herbs and a bevy of tongue tingling spices, this yogurt marinade transforms cuts of pork or chicken into a lip-smacking meal. 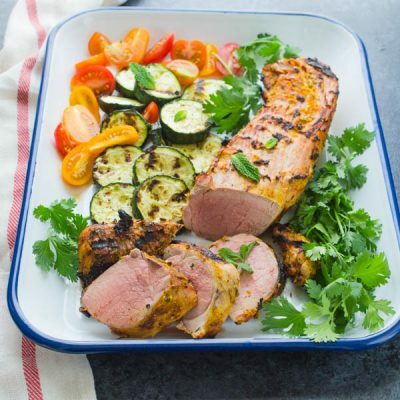 Pork tenderloin is one of the leanest, most flavorful and economical cuts to feed a family. It adapts well to seasonings and plays particularly well with this easy tandoori marinade. If you’ve never tried tandoori, it’s a heady blend of spices, tamed in a cooling yogurt marinade. 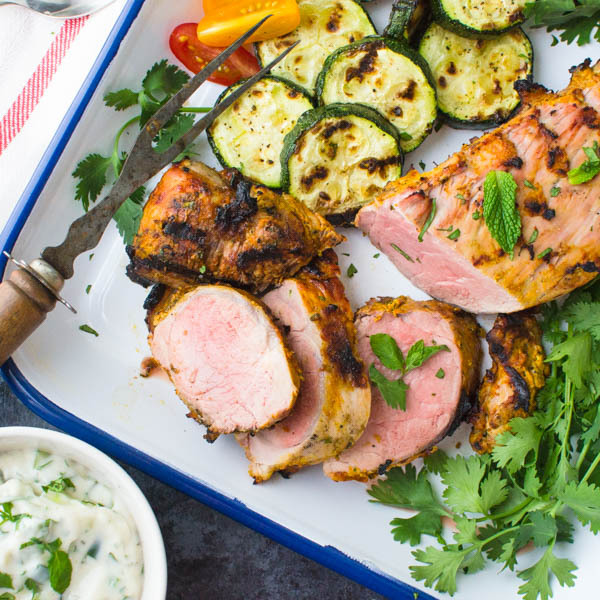 For this marinated grilled pork, I let the loin rest in the yogurt marinade for most of the day — or overnight. Finely chop 1/4 cup onion. Zest a fresh lemon to equal 1/2 teaspoon. Slice the lemon in half and squeeze until you have 1 1/2 tablespoons of lemon juice. Chop 1 tablespoon fresh cilantro. Combine the yogurt with the onion, garlic, lemon zest and lemon juice and whisk until well blended. Add the spices, including kosher salt, black pepper, paprika, cinnamon, cloves, turmeric, ginger and cumin. Whisk until well combined. 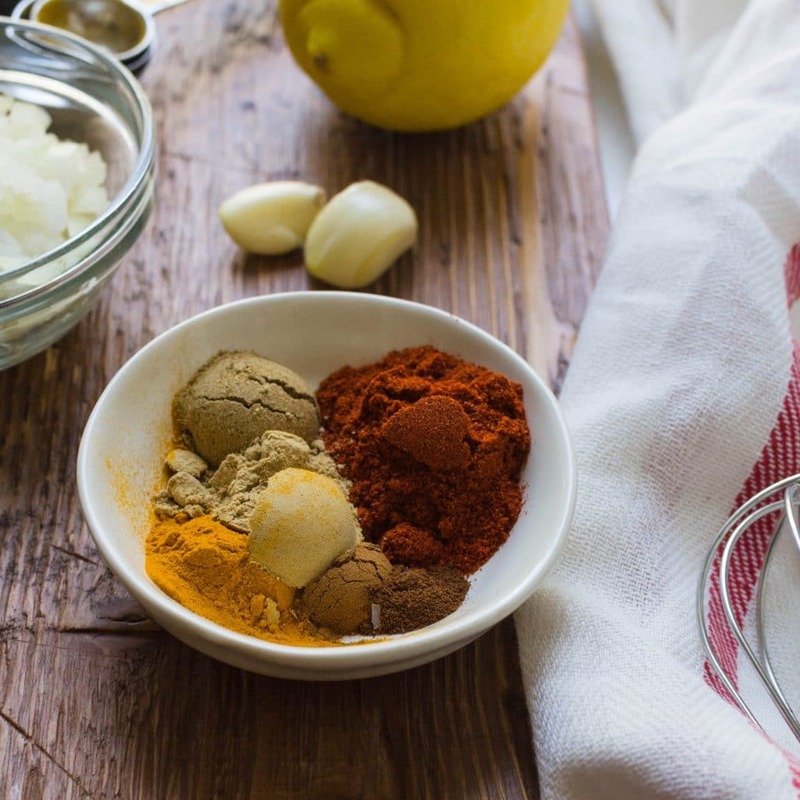 This tandoori marinade can be used on chicken as well, so if you’re not in a pork mood, swap it out for chicken pieces, just make sure that the protein rests in the yogurt marinade for at least 8 hours. 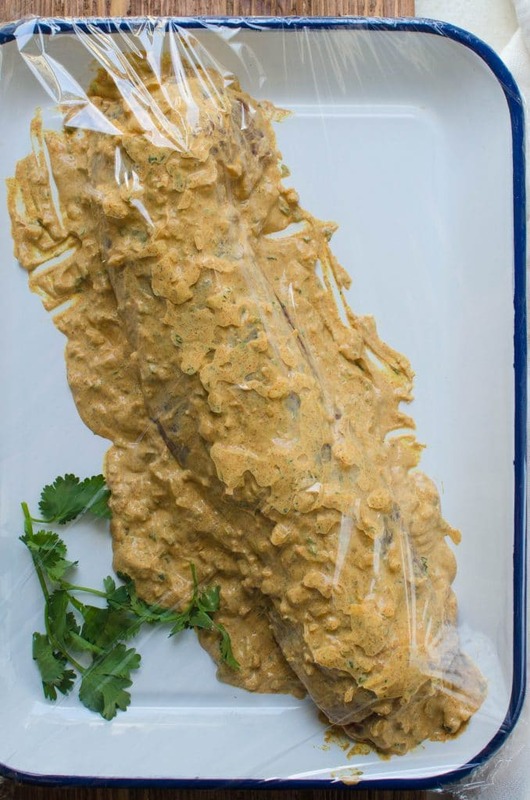 I spoon the tandoori marinade over the meat and roll it around until it’s well coated, then cover in plastic wrap and refrigerate until half an hour before I’m ready to cook. 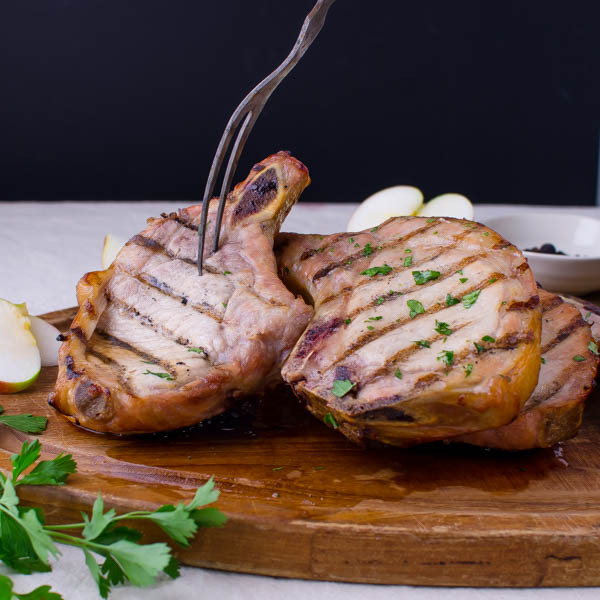 Remove the pork (or chicken) from the refrigerator and let it sit at room temperature so it’s not ice cold when you place it on the hot grill. While the meat rests, I like to make an additional yogurt sauce for serving with the marinated grilled pork. 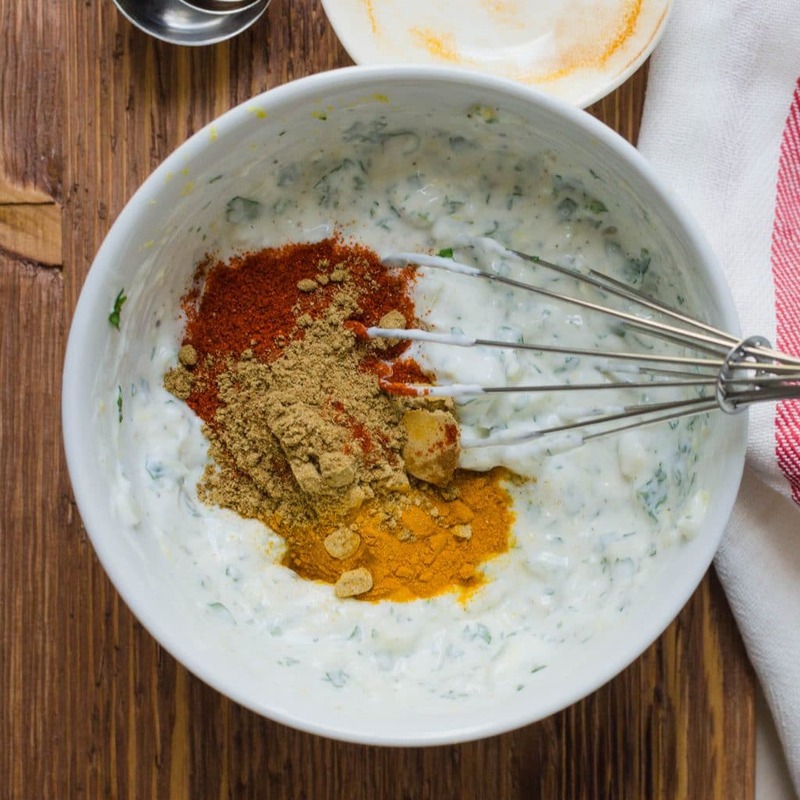 This isn’t a yogurt marinade, but more like a cross between Greek tzatziki and Indian raita with cucumbers, cilantro and mint and cumin. This blend of flavors borrows from both styles of yogurt dressing and is particularly nice with tandoori marinated meats. While we’re grilling — I like to kebab some vegetables to serve with the grilled marinated pork. It’s a great way to make the whole meal on the grill — keeping the dirty dishes at a minimum. I had zucchini on hand, but bell peppers, yellow squash and cherry tomatoes are good too. Marinated grilled pork tenderloins generally take between 20 minutes for a medium rare to medium doneness. I go for an internal temperature of about 140° knowing that when it comes off the grill and rests for a few minutes, the meat actually continues to cook. That carryover cooking can raise the temperature (and doneness of the meat by 5° or more. If you like it on the more done side, leave it on the grill until the meat registers 150°-155°. It will raise to 160° as it rests. 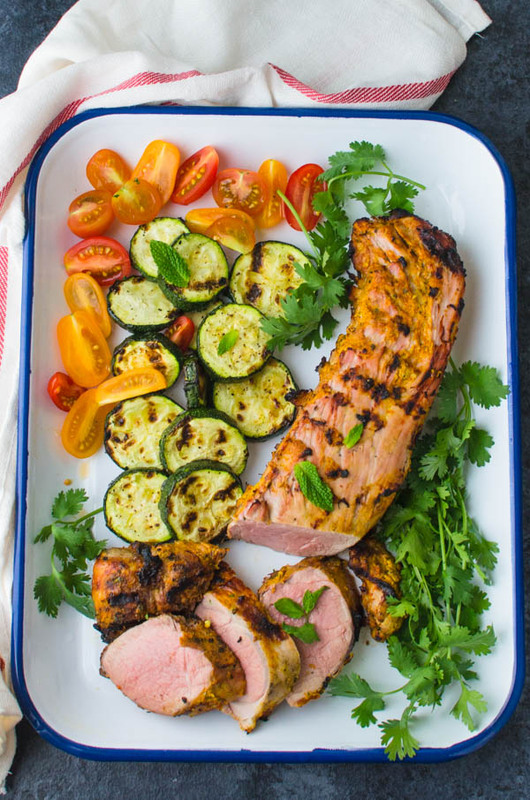 Marinated overnight in a spicy yogurt dressing, this grilled pork is next level stuff! Serve it with basmati rice and grilled veg. 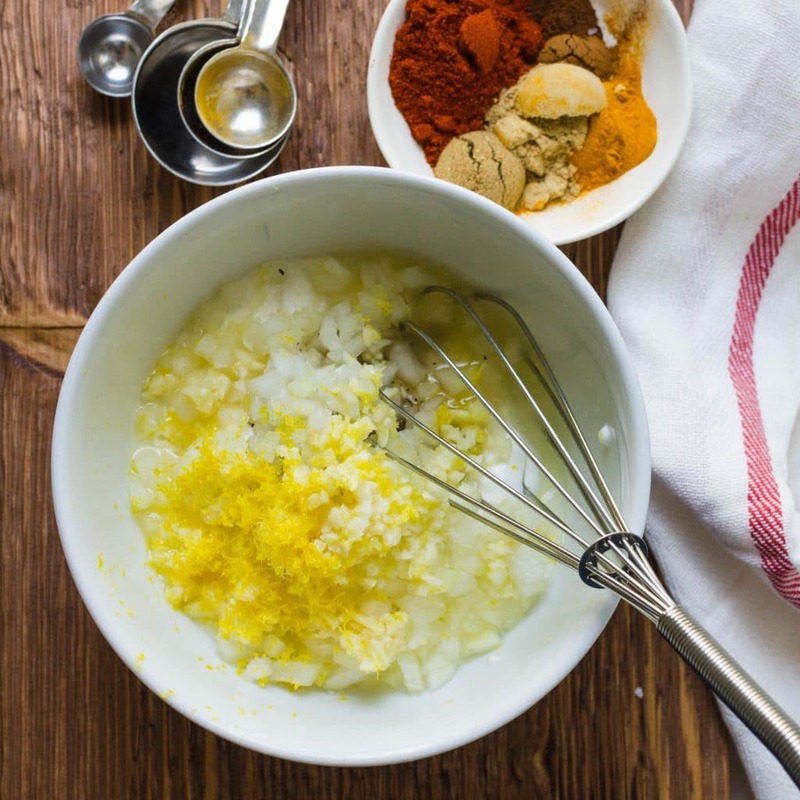 In a small bowl, combine the onion, garlic yogurt, lemon zest, lemon juice, salt, pepper, paprika, cinnamon, cloves, turmeric, ginger, cumin and cilantro. Mix together very well. Place the tenderloin in a shallow dish or in a gallon size resealable bag. Add the marinade to the pork and spread it over the meat. Cover and refrigerate 8 hours or overnight. 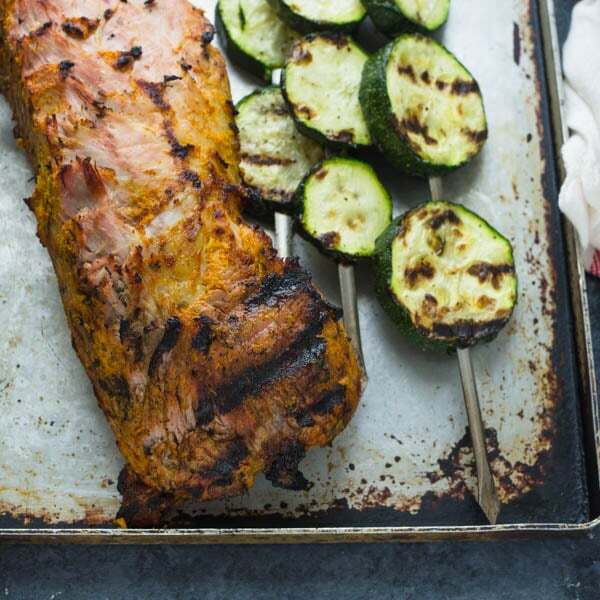 “Pin Tandoori Marinated Grilled Pork” For Later! I am so in love with this recipe. Tandoori is such awesome flavor, I love anything marinated in a yogurt marinade. I totally need to make this! I’m a big fan of tandoori flavors but for whatever reason have never tried it with pork. This looks like such a delicious meal! 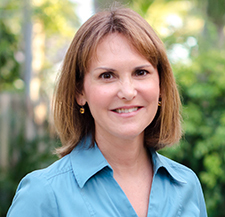 Thank you, Caroline. I don’t think pork is usually done with tandoori — but since I don’t follow any particular eating plan and there’s no food politics in my house, I’m here to tell you, the combo works! I’m always looking for new ways to add flavor to meat. This marinade is perfect. My mouth is watering! This will be on my table very soon. Saving and pinning this one for later. Sounds delicious! 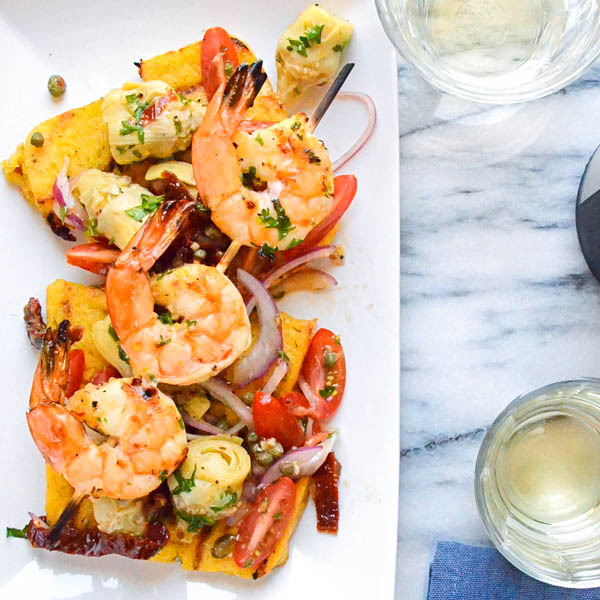 Love all the delicious flavors in this recipe! You had me at grill! I LOVE to grill all year long!